The key word concerning the subject of salvation in this text is actually a phrase in the English, the phrase is: “have been saved” (which in the Greek is a single word), sesosmenoi1 in the Greek. By examining this word, we shall uncover unseen shades of meaning. 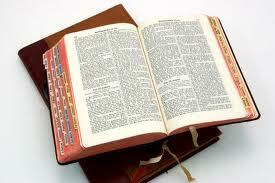 One need not ever study the original languages to understand what God is saying in His Word. Studying the Holy Scriptures in the languages God chose to communicate through has been compared to adding color to a black and white picture. The black and white picture gives meaning; color simple adds a fuller understanding, emphases, and clarity. If God chose those languages6 to communicate the good news to all of mankind, who are we to imply it is of no importance to search out their fullest meaning, especially in this day and age when it is so easy to do so. Sesosmenoi is a verb, which is an action, something that is done. The following explains how verbs function in Koine Greek. † Far more than a lexigraphical definition. † Who is performing the action. † Whether just one or more than one is doing it. † When it is done. † Whether it is a single event or process. † Whether it is an actual happening, a command, or something wished for. † Whether the subject of the verb is an active or passive participant (or both!). 1. It is a (Periphrastic) Participle Mood (PPM), which means; it is used to complete the idea of the main verb, it is called supplementary. An example is, the statement “he is destroying,” is changed to “he has destroyed completely,” when the verb is changed to a PPM. In the key text, it reinforces the concept of being completely saved, with no possibility of being or becoming unsaved. The participle is a verbal adjective having tense and voice like a verb, and case, gender, and number like an adjective. Participles function as adjectives, adverbs, substantives, and verbs. The Nominative Case means that the verb is the topic (focus, theme, and issue) of the sentence. Salvation is the focus of attention in the text: not “grace” (though, it is how salvation is obtained), not “faith” (though, it is the vehicle that delivers salvation via grace), not “yourselves” (though, people are the ones being saved), not “the gift” (though, that’s what salvation is), not “of works” (though, that is how NOT to get saved), not “lest anyone should boast” (though, that is why God will not let salvation be worked for). The focus of this verse is God’s free unmerited gift of salvation to those that will believe. Salvation is not a trade for faith, though one must have faith to receive salvation. Because salvation is the focus and there are no conditions, the person that obtains it cannot lose it; and those that have obtained it, have done so due to a response in faith to the gospel of Jesus Christ. 2. It is in the Perfect Tense, which is an action that took place in the past, the results of which have continued to the present. It has no exact equivalent in the English, but it is understood as a past completion with the results effecting the present. This indicates that the salvation of the subject was completed in the past and continues to affect the subject in the present. Once gained, salvation cannot be lost. 3. It is in the Passive Voice, meaning that the one being saved did nothing to become saved. The action of the verb was done by someone else; in this case, God. God and God alone saves, the subject of the verb (man) has no power to save it’s (him) self. 4. It is in the Second Person, meaning what is being said is intended for the reader, the person who is reading this passage, the person who meets the conditions in the passage. Therefore, the person reading this passage, which lives by faith; shall (was-is-will) be saved. 5. It is in the Plural Number, meaning what is being said is meant for all who read it. God wants all of those who read this passage, who meets the conditions of this passage to know they are saved, though no act of their own, by His grace alone. Concerningthe Participle Mood of this verse (as well as concerning other Greek words), when someone is saved, they are completely saved. They cannot be more saved, or less saved. Salvation is something that once gained it can never ever be lost; it can never ever, ever be undone. Once you have it, you have it. This rhetoric expresses the vigorous emphasis that the grammar conveys. Salvation is completely finished – no one can add to it. Salvation is something that the Christian did not gain by merit or effort; therefore, it is something that they cannot lose by effort or a lack of merit. According to the Authorized Version (King James Version), the last thing Jesus said before His death on the cross (John 19:30) was “it is finished” (Tetélestai in the Greek). Other translations render Tetélestai, either, “accomplished” or “completed,” which is closer to the true meaning. Both these words indicate more than simply finishing an act; they mean a complete fulfillment of a purpose. Resent archeological digs have shed much light on our understanding of the word Tetélestai. The first indication that there is a fuller meaning to this word was found concerning a property deed that had Tetélestai written across it, proving that the deed holder had paid for the land completely and owned it. After this find, archeologist started noticing Tetélestai used in accounting parchments and codex’s, as a conclusion rendering that accounts were “paid in full.” And most notably it was also found on prisoner’s paperwork. In the Roman judicial system incarceration was used (not so in the Hebrew culture) and when a person was sentenced to serve time upon conviction of an offense, there was a copy of the court transcript, which stated the charge, and the verdict, and was posted outside their cell. This was technically called a “bill of indebtedness” in the Latin, in English it’s called “a debt to society,” and in the Hebrew it was referred to as the “handwriting of ordinances,” which Paul refers to in Colossians 2:14 (“Blotting out the handwriting of ordinances that was against us, which was contrary to us, and took it out of the way, nailing it to his cross“). When a prisoner served a year, this would be reported on their “bill of indebtedness” until finally they had fulfilled their full sentence. They would be given this document to hold on to showing that they had paid the debt to society, so if anyone ever accused them of committing the offence and getting away with it or of being an escapee, they could produce the court transcript showing they served their sentence. The reason this becomes important is concerning Christ’s last words, is it could be generally said: that “it is finished ,” or “it is completed,” could refer to a number of things. 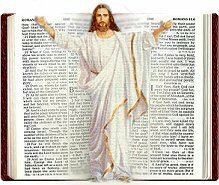 Jesus could having been saying that His life was completed, that His mission was completed, or that His teachings were completed. And while generally true, this is not the essence of what He was stating specifically. Tetélestai says much more specifically or denotatively, than it does in the general or connotation sense of the word. Jesus not only completed His mission, but much more important to the believer; He paid for their salvation in full. The point that Christ was making is that He had done it all on the cross. This is why you and I can add nothing to our salvation; because Jesus did it completely in that He paid in full the price of our redemption. Understanding that the Ephesians passage utilizes the perfect tense, indicating it was something completed in the past, with consequences which are ongoing, in the present and yet in the future as well; displays the three tenses of salvation, past, present, and future; which can be examined in Scripture by the following passages. 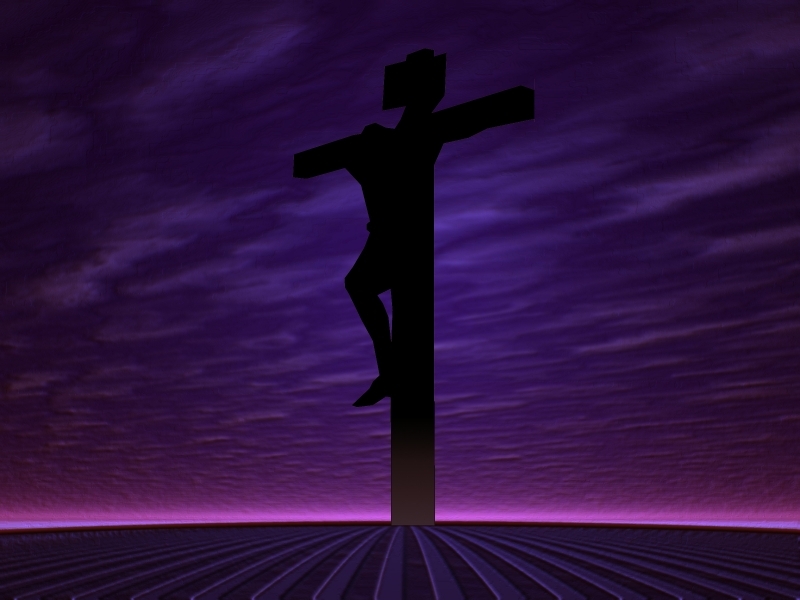 When Jesus died on the cross for the sins of the world, He paid the full price for those sins. There is nothing that a person can do to aid in their own salvation; it is freely given by God’s grace, it is an unmerited gift, Jesus did it all. He paid the price in full, in fact to imply otherwise or to attempt to add to it is blasphemy and according to God is rewarded with hell. 1. For the sake of doing any further Greek word study, the stand-alone Romanized transliteration of the word “saved” is sozo in the Greek, Strong’s Number 4982. 2. The text used is from the ”H KAINH ΔΙΑΘΚΗ” translation by the Trinitarian Bible Society, and is a Byzantine text in accord with the Textus Receptus. 3. THE COMPLETE WORD STUDY NEW TESTAMENT WITH GREEK PARALLEL, Dr. Spiros Zodhiates, PH T., AMG Publications, Chattanooga, TN 37422, USA, 1990. Both the Hebrew and the Greek languages have their own particular differences which are utilized by God, and which presents God’s message to man in a diversity of style and effectiveness that complement each other. 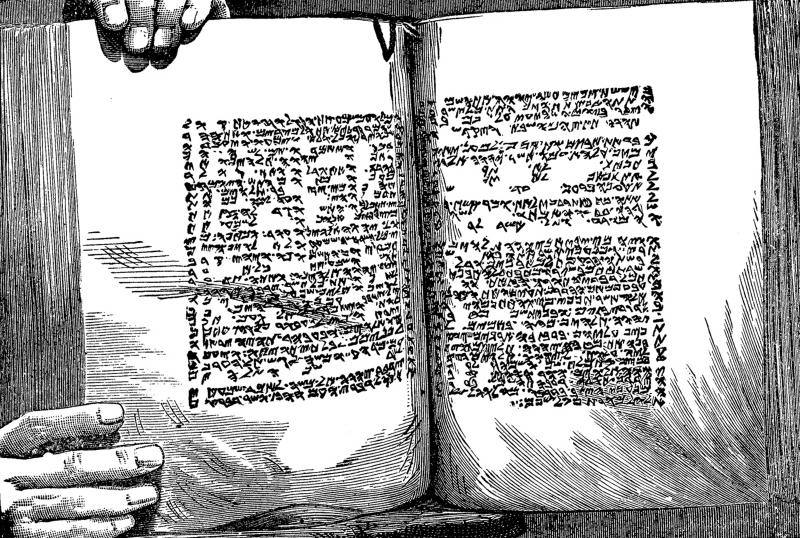 The Hebrew (Old Testament) language displays vividness, conciseness, simplicity and denseness, and is very poetic and therefore necessitates many more English words in its translation is due to its vagueness; therefore it has the ability to utilize puns, and many other rhetorical devices; which add color and nuances to the language beautifully. These are characteristics which make Greek an excellent language for debate, philosophy, logic, and science, due to its strength and vigor; a language of argument with a vocabulary and style that penetrate and clarify phenomena rather than simply describe verbiage. Greek takes many more English words to translate a single Greek word into English because of its specificity and exactness, yet for a different reason the Hebrew also needs many more English words to translate a single Hebrew because it is vague. Greek is perhaps the most precise form of expression found in any language, far beyond the English, Latin, or Oriental languages. What we find in these 2 languages, is that the Hebrew language, which God used as mankind was coming of age, growing from a single man (Abraham), to a family (the 12 Tribes), to a nation (Israel); is vague, limited in its revelation in the same way that God limited his exposure to the human race in the time of the Old Testament by utilizing a single man, his family, and a nation that would carry his word to the rest of the world. During this time it is as if God is seen as if from behind the veil. Yet, when we see the Greek language, with its specificity and preciseness, a language that reveals in great precision in a way that would be synonymous with God’s revelation of Himself in the person of Jesus. This is why many people think that there one God of the Old Testament that is a judge, mean and condemning; and another God of the New Testament, patient, loving, and sacrificial. In the Old Testament they knew the Messiah was coming, but didn’t know who he was. In the New Testament God specifically revealed who the Messiah is, and that salvation can be found in no other (See Gal. 3:22-26). Concerning the precision and methodical nature of Koiné (Greek: “common”*) Greek, it should be understood that Hebrew Old Testament Scriptures, were translated into the “common” Greek three centuries before the time of Christ, known as the Septuagint translation and was what Christ and the disciples used as their Scripture in their day (except for within the Temple and the synagogues, where the Hebrew translations of the Torah were utilized). 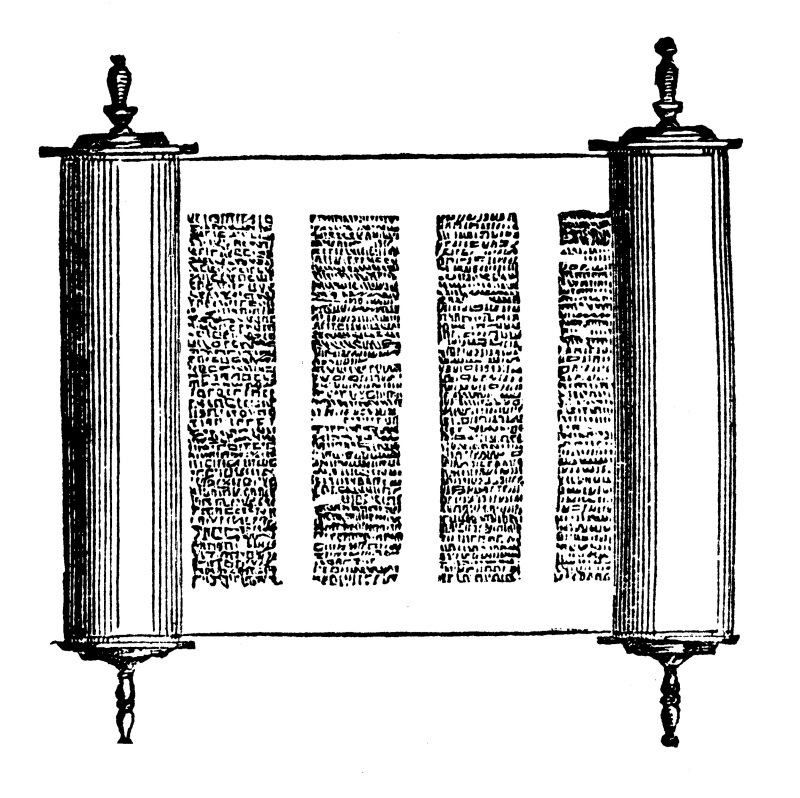 The reason that the two Testaments are not exactly the same is that our Protestant Old Testament is based upon the Hebrew Masoretic Text (The Hebrew Old Testament that was not codified until the 8th century A.D.), and Jesus and the disciples were quoting from the Greek Septuagint translation of the (Hebrew) Old Testament Scriptures, which explains the differences seen between the two (many Christian translators believe that the 8th century Hebrew Jewish translators used variant Hebrew words in the Masoretic translation to attempt to distance their translation from the Christian Bible which at the time used the Septuagint Old Testament; they believed Christianity was an evil cult), translations. The supernatural outcome of having a (Septuagint) Greek translation of the Hebrew Old Testament is the ability to specifically understand the Hebrew words used in the Old Testament, as they could be laid next to the (specific) Greek, which would set up a parallel of translation effect. So as to define the Hebrew according to the Greek; by thus setting aside the vagueness that was originally introduced, as well as gaining the ability to cross-reference each with each other, and have both of the Testaments comparable at the same time. And in the process, acquiring greater insight into both translations; as seen in the New Testament quotes of the Old Testament which are made more precise and clear, and the Old Testament prophecies fulfilled in the New Testament with greater understanding. It’s like God presented Himself in the Old Testament while still behind a veil to the Jews (“the Hebrews”), more mysterious and at arm’s length. Yet, in the New Testament, Jesus revealed God in a more personal, detailed and intimate manner, in Himself (which is where we get the idea of: “having a personal relationship with Jesus Christ as our Lord and Saviour”). Jesus Christ is the revelation of God the Father that was never seen before in such specificity (1 Timothy 3:16). How amazing is our God that He would specifically utilize two languages which are almost opposite of each other in order to fulfill His Will. The one language He uses as He begins His journey with man from behind a veil, vague as He slowly, mercifully, but surely introduces Himself to mankind, utilizing a temporary year-by-year Levitical system to teach man that he is a sinner, awaiting the permanent substitute as seen in the person of Jesus Christ, the Messiah of Israel; the Savior of the world. Jesus who was declared in a specific thorough language which gives great detail concerning the person of Christ who reflects the Father, wherein salvation is made specific concerning God’s demand that man placed his faith in God, wherein man accesses the grace of God for forgiveness through the atoning work of the cross. Salvation comes only one way, God’s way.